Observing the Universe is one thing, comprehending it quite another. 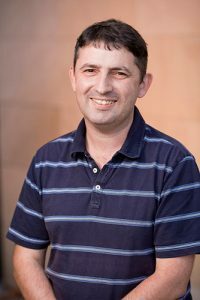 This research group uses cutting-edge simulations developed in-house that are run on the WA-based Pawsey super-computer. The state-of-the-art models developed by ICRAR use a range of techniques including numerical and hydro-dynamical simulations, semi-analytic modelling and semi-empirical modelling to create accurate pre-dictions of astrophysical processes including galaxy formation, galactic gas accretion and cosmic structure. Currently, several competing models of dark matter and dark energy are being tested for their agreement with new galaxy observations and the large-scale structure of the Universe, with the aim to validate or dismiss potential cosmological models. Projects offered here tie in very closely with the other research groups at ICRAR/UWA, and as such there is a great emphasis on galaxy evolution, gas fuelling and the accurate simulations of planned next-generation surveys (ASKAP and WAVES).